Despite the growing use of bikes in the towns, their maintenance is as important as the bike itself. Keeping the parts of your bike clean and lubricated will definitely extend the life of your bicycle. However, the way you store your bike also matters. Those owners who keep their bikes outside should remember that high humidity can easily provoke corrosion. Moisture makes metal parts of your bike rust. However, wet conditions are not the only factor that causes corrosion. Road mud and salt contribute to this process as well. Rust is something that negatively affects your bicycle. It can even be dangerous to ride a rusty bike. 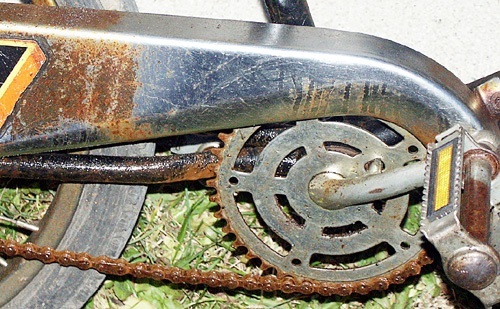 Such parts of your bike as wheels, brakes, chain, gears and cranks are highly susceptible to rust. Your bike’s wheels must spin freely and without any grinding. Obviously, rusty wheels will not be able to rotate properly. As a result, cycling will not bring you so much pleasure. Rusty chain and breaks can also cause you a lot of trouble. No doubt, gears make cycling much easier. What if you are no longer able to change gears? Rust can be the cause for that. So, rust can do a lot of harm to your bike and make it absolutely inappropriate for riding. 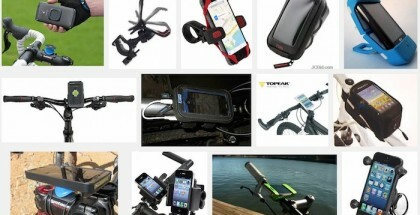 And of course, you should do your best to protect your bike from rusting. As the old saying goes – prevention is better than cure. But what if rust has already appeared on main parts of your bike? By following some simple steps, you will be able to remove this unwanted rust from your bike and make your bicycle beautiful and shiny again. Bikes appearance and maintenance especially to the chrome is very important. Rust destroys the pleasing appearance of a bike, especially on the chrome parts. In fact, chrome is corrosion resistant. So, the material itself does not rust. However, underlying steel may begin to corrode. It’s important to note that chrome plated steel corrodes even faster than bare steel. That is the main reason why you should remove rust from chrome parts of your bike as soon as possible. Otherwise, you will get a rusty bike within a short period of time. 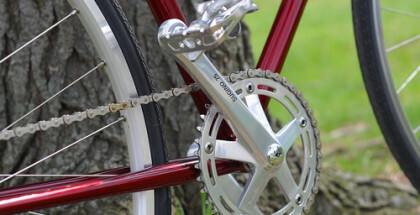 It becomes of no use to clean a bicycle whose chrome parts have already completely rusted. Many a times is when I plan to paint the chrome parts and make them black to hide the rusting chrome parts. This was the plan until a friend pointed on some hints on how to give my bike that shining look again. Following his directions was as fruitful and very pleasing to the bike, and it was the right action to take for my bikes look sake. 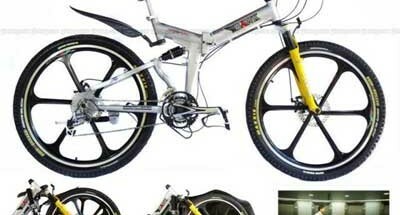 Here is the guideline to the simple steps to take to give your bike that look you envy. First you need to have a fine steel wool. The level of scratching needed depends much on the extent at which the rust is. Since mine wasn’t that bad, I choose a fine steel wool as there was no need for hard scratching. Next we need to have metal polish which will be used to lubricate when rubbing of the rust from the chrome parts. Liquid polish is highly recommended for this purpose as it gives better results compared to other polishes. After scrubbing the chrome parts with help of polish, next you need to have a clean cloth which will be used to polish out the scrubbed rust off the chrome surface. Despite using a dirty piece of cloth, I got the desired result, but for you, keep the cloth clean to have the best of results. How to execute this shining action on your bike? Take the liquid polish-loaded steel wool and rub it on the rusted chrome parts until the rust particles are removed from the surface. The way you do it matters a lot to the surface and the look of the polished parts. It’s then advisable to completely avoid circular scrubbing, but rather go in forward and backward motion. The reason to avoid the circular scrubbing is that, it leaves marks on the surface. Once all the rust particles have been scrubbed off, it’s time to use your clean cloth. The old clean cotton towel can be of help here. Wipe the already scrubbed surface until the look is pleasing or to how you want it. When you spot some rust which is still on the surface you can re-do the scrubbing until you are satisfied that this is the best look I can give my bike. Once all the rust parts has been scrubbed, a final touch with metal polish can give the already scrubbed and wiped chrome parts that extra pleasing look you want. Properly polished chrome parts of a bike will always make give that, good and attracting look, to an extent of attracting security concerns. Rust is your bike’s worst enemy. If left untreated, it may destroy your bicycle over time. Luckily, removing rust from chrome parts of your bicycle is far from being tough. 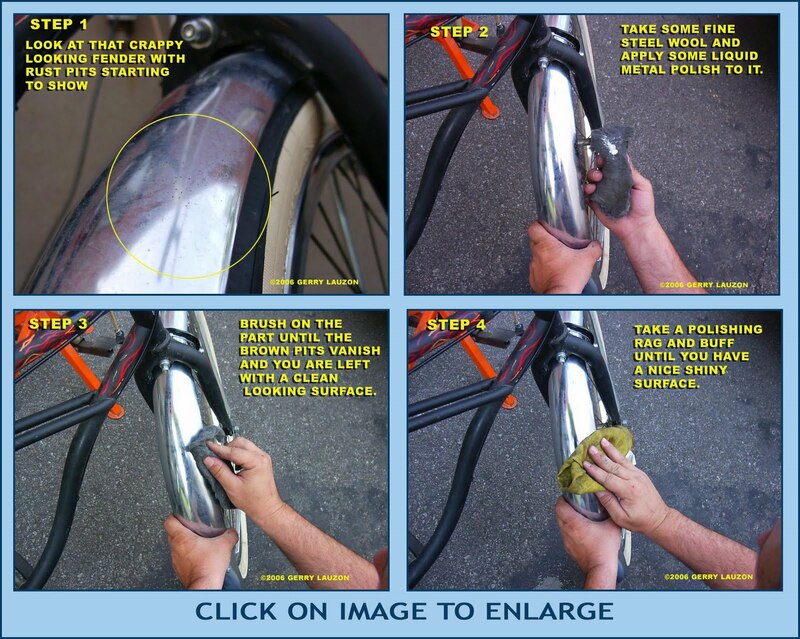 Repeat the procedure every time you notice rust on your bike and your bicycle will serve you well for many years. To hell with black painting idea, I now have a solution as an answer to chrome rust.